American Greetings is one of the top greeting card companies in the world. At this show, they focused on the specialty brands that fall under the Papyrus-Recycled Greetings umbrella – Papyrus, Recycled Paper Greetings, Bird & QUILL and Paper Rebel. American Greetings attends this event each year to show their support for the Greeting Card Association and its members. The goal was to create an exceptional space for each of the brands – Papyrus, Recycled Paper Greetings, Bird & QUILL and Paper Rebel. 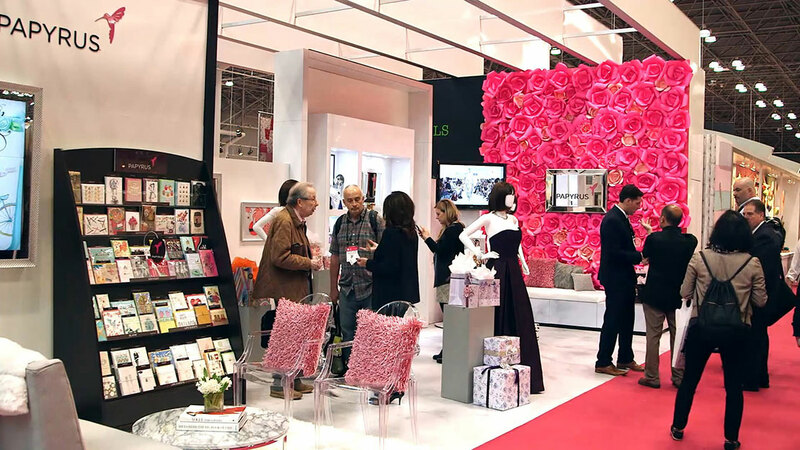 It’s always a challenge to showcase each brand individually while achieving a cohesive look for the entire booth, and every year we strive to top the booth design from the previous year. Working in collaboration with the Papyrus-Recycled Greetings team, we discussed hits and misses from previous years, brand focus, new product lines and launches, and priorities for the current year. Their team provided initial ideas in a mood board to show their vision for each brand. Using these ideas as a starting point, we worked to bring their booth to life. We brought their vision for each brand to life in its own unique way. 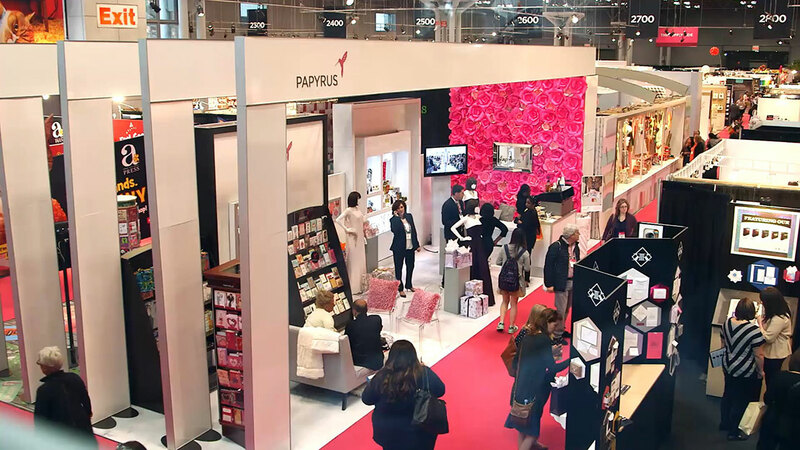 Since this was the first year introducing Bird & QUILL and Paper Rebel brands at the National Stationery Show, it was especially important to highlight the two new brands while still giving proper attention to the established Papyrus and Recycled Paper Greetings brands. We were able to repurpose existing booth properties and give them a fresh look. It appeared to be a brand new booth even though roughly 75% of it already existed. We were very thoughtful about the new pieces that were introduced to be sure they were impactful and cohesive with the repurposed properties. We also made the overall space more open and accessible than the previous year, so it seemed more inviting and was easier to navigate from brand to brand. 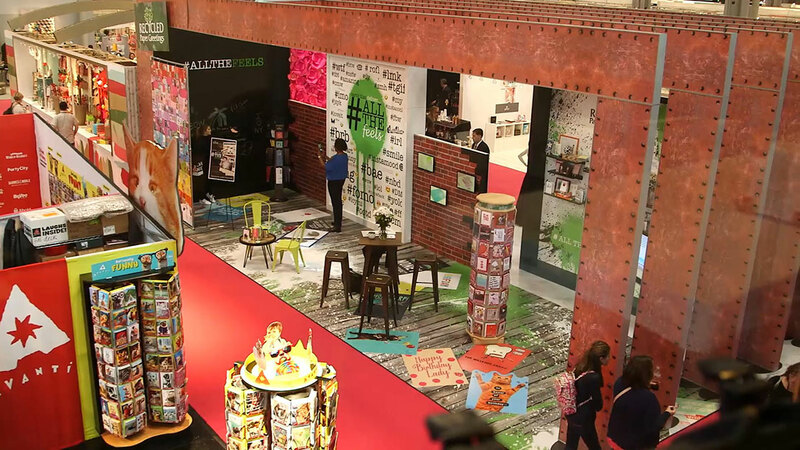 The resulting booth provided a “wow” moment at every turn, from the beautiful product vignettes and glitter Plexiglas wall to the chrome of Paper Rebel and 20-foot tall pallet wall on the Recycled Paper Greetings side. It’s no wonder this booth got the “it’s my favorite” vote from Papyrus-Recycled Greetings, National Stationery Show attendees, and the team at CEI! 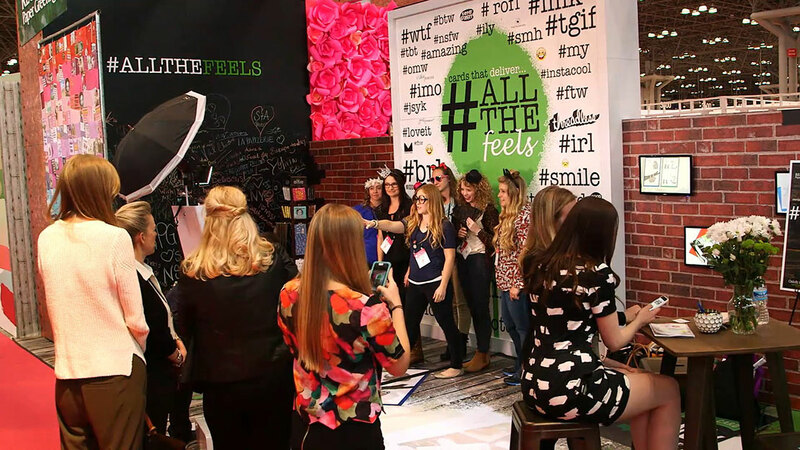 Not only did attendees compliment the client on how fabulous it looked, they took selfies within the booth. Located at the front of the hall, the exhibit provided extra impact to people who took the escalator down to the entrance, letting them take in the entire booth from a higher vantage point. It proved to be an excellent backdrop for the array of beautiful products the client showcased.